Press release from Little Adventurers Nursery in Havering. 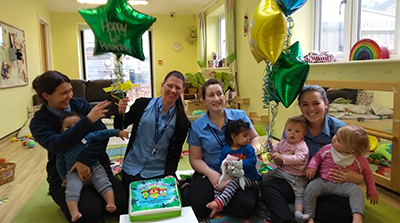 Little Adventurers Nursery in Havering recognised individual staff qualities at their annual staff awards as they celebrate their 4th birthday on the 6th April. This family run, home from home setting has achieved a great deal in the 4 years since opening including a Top 20 Nursery London Award, Healthy Early Years Silver Award (HEYL), Apprentice Employer of the Year as well as being filmed By Early Excellence and featured by Nursery World for best practice. “We work very hard to recognise and value our fantastic staff team. They all do an amazing job at Little Adventurers and we have a great team spirit. Our annual staff awards are part of that recognition and we genuinely want to thank staff for all their efforts and hard work. Our recruitment process is highly selective and every member of our team has been chosen for their individual qualities alongside their academic professional qualifications,” Chris Ford, Business Development Manager for Little Adventurers explained. For their awards this year, the staff and management team were asked to comment on their team members. Many practitioners were described as friendly, enthusiastic and great team players. Staff were also praised for their ability to extend learning through play, their sensitivity to situations, their fun and bubbly attitude as well as having a flexible and hardworking approach. The team are led by an exceptional Manager, Ginny Andreas who goes above and beyond in her caring leadership, a quality all of the team admire and appreciate. This award-winning setting which works very hard at fostering high levels of health, well-being and school readiness, recently hosted a visit from the Deputy of Mayor of London in recognition of their Silver Healthy Early Years London Award. We encourage staff to undergo further training to support them in their continued professional development for example by sponsoring Level 5 training and accessing training courses of particular interest to staff members. 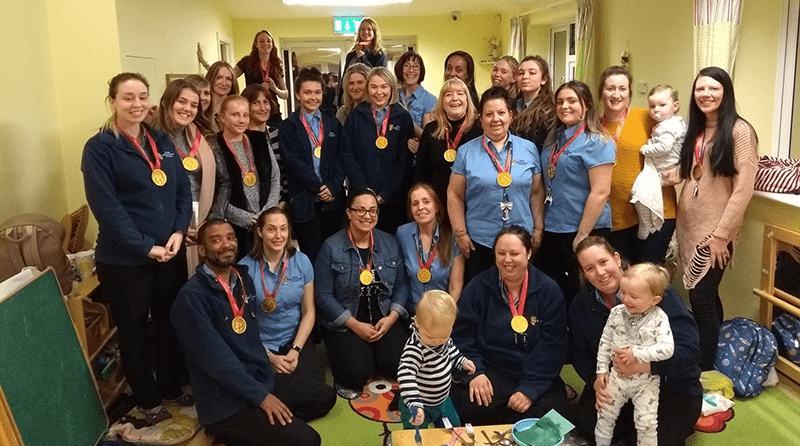 “Little Adventurers Nursery – where children are cherished” – truly epitomizes the ethos at this nursery but the Nursery Management Team work hard at showing that it’s not just children who are cherished here – their staff are too!